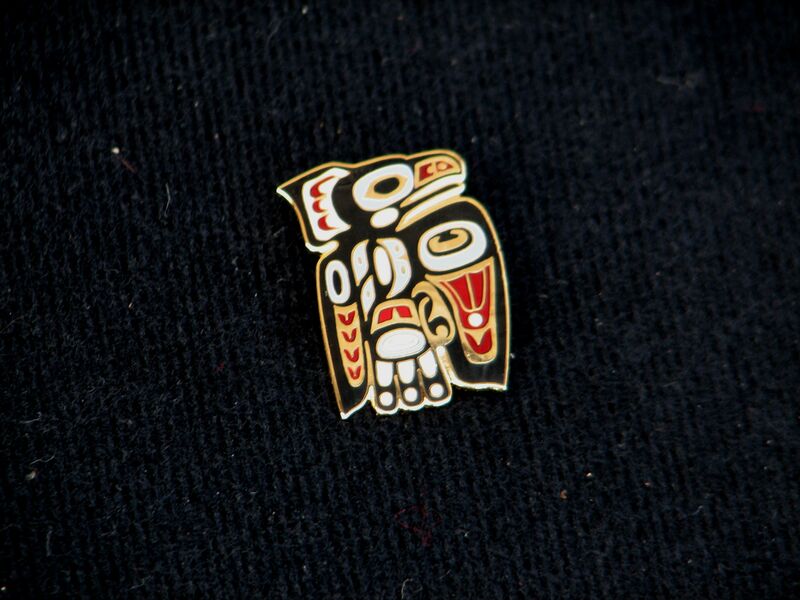 Eagle was and is one of the two main clans of the Native people of the Northwest. Eagle stands for majesty, power and special vision. Cloisonne on brass with pin back. About 1 1/4 inch high.